Question: How do we change TP units? And how Inventor decides which units to use for new runs and routes? I have been investigating this a while back and didn’t have time to search deeply but I get this question a lot so I decided to test and find the answer once and for all. It is quite logic as you will see. Any already created documents need to be manually changed by editing that document using the Tools / Document Settings / Units tab / Length drop-down field. What do I mean by documents? “Tube and Pipe Runs” assembly, any “Run”, any “Route” and it goes the same for hoses. I think you will only edit the routes really and one thing to understand is that the dimensions will be displayed in the route units, but when you edit that dimension you will have the original value + original units you entered. 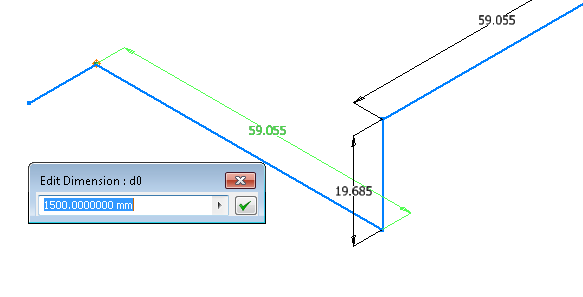 For example you created a route with a segment length of 1500mm and then you change the units to inches, then the dimension will report 59.055 but when you edit the dimension you will see 1500mm(mind the explicit units). In other words any existing values will be kept and interpreted (converted) while any new dimensions, parameters, will get new units. You can change units for existing parameters but I wouldn't bother. Dimension units vs reported units. Any new files you create will get the units of the parent document. For example if your files were created in mm and you suddenly decide the new Runs or Routes to be inches then you need to first edit its parent document. If you need to create all New Routes in inches then you first need to edit the parent Run and set it to inches. If you need to create all New Runs in inches then you first need to change the “Tube and Pipe Runs” document to inches. HOWEVER any generated pipe segments will have the units set as per CC (Content Center) family settings. Using ASME pipes will get you inch lengths of pipes while using DIN, ISO, etc. 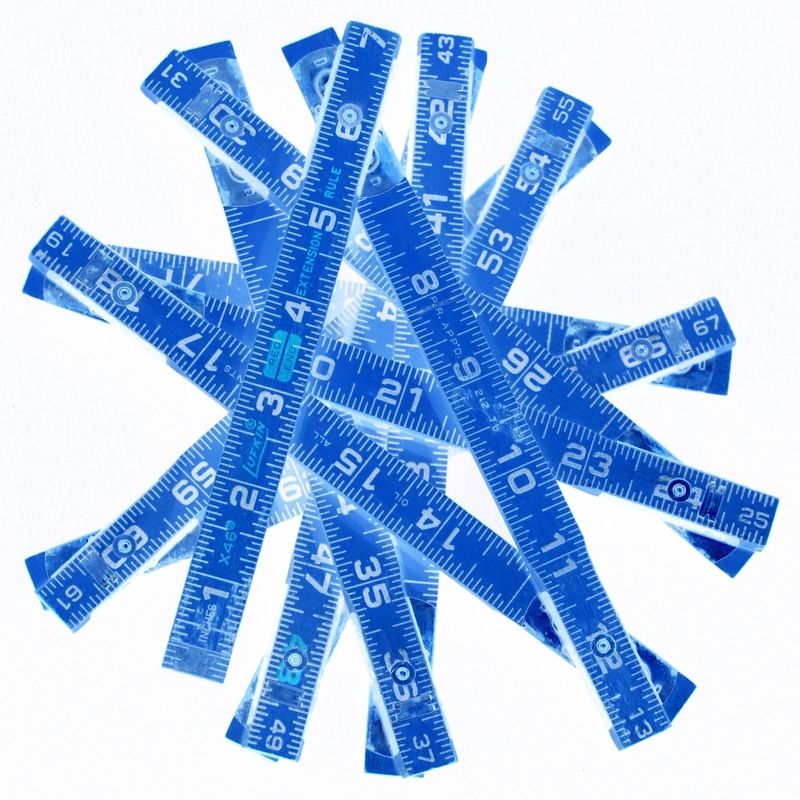 styles will generate metric lengths. No matter what units you have in the T&P assembly, Run or Route the pipes will use the CC family units. Pipe units in parts list. BOM and drawing Parts List will get units from the pipe segments so if you have mixed styles (metric, imperial) then you will get mixed units. To emphasize this you can add a “BASE UNIT” column on the parts list which should help spotting different units. Emphasize units in Parts List. 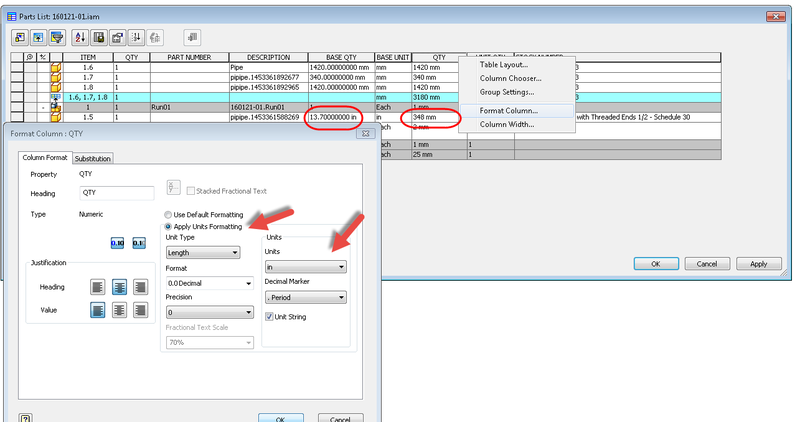 Using Material Lists with cumulated lengths is safe since you are probably merging the parts by stock number or part number and these will have same “unit” type. "One Unit to rule them all, .... and in the darkness bind them" ? 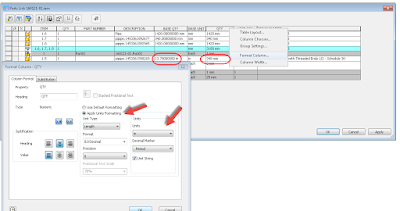 If you need to unify the reported length you can change formatting for QTY column in the parts list and force one unit for all. Right click the quantity column and choose Format Column. Tick the Apply Units Formatting box and on the Units drop-down select the common units to be used, then click OK in the Format Column window. Formating lengths to a common unit. Back to the assembly environment, you can either open the documents or edit them in the current assembly. 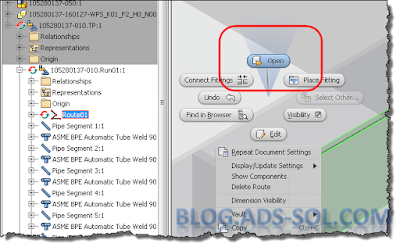 Some documents are tricky to open like Routes which can only be open either using the open command and browse for it on disk, or by selecting it in the browser or graphical window and then use “right click on graphical window” and choose “open”. It’s the only way to open a route as a separate document. The only way to open routes. 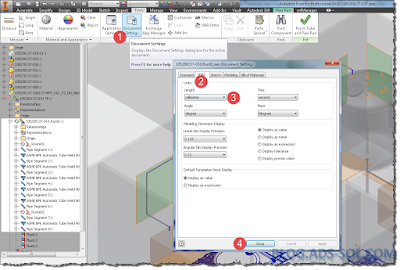 TIP: Here’s how to save documents if the main assembly is open. 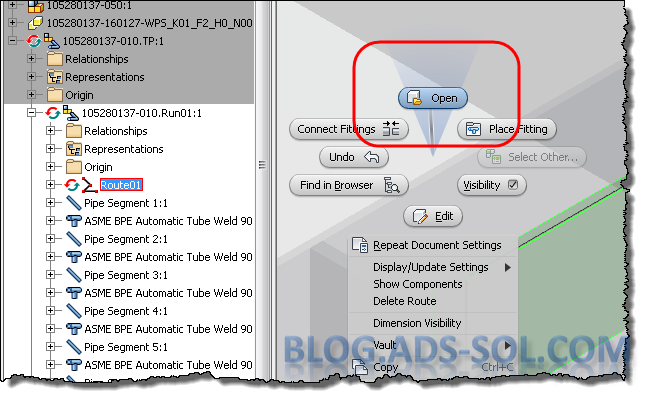 If the main assembly is open and you decide to open a run, route, separately then you need to do the changes in the open document but save the main assembly. Some files can only be saved in the context of the main assembly.